Sussex County Councilman Sam Wilson has been known in the past for speaking his mind, and in many cases that has led to him being the center of controversy. Well Mr. Wilson has once again placed himself front and center of another such controversy, and this time he was supported in his statement by fellow County Councilman Vance Phillips, who is no stranger to controversy himself. During the regular Tuesday meeting of the council, a letter requesting a grant from the Council’s discretionary funds to support the Lower Sussex Branch NAACP Youth Council was read, Mr. Wilson immediately stated to remove his name, that he would not use money from the money allocated to him, that was unless someone could tell him what “NAACP” meant. There was then an exchange between Mr. Wilson and fellow council person Joan Deaver, the two have a history of such exchanges. A definition is then given, that NAACP stands for National Association for the Advancement of Colored People, Mr. Phillips can then be heard asking, “what color”? The conversation then turns to stating that the use of the words “colored people” make the NAACP a racist organization. Mr. Phillips states that he supports Mr. Wilson and will not use any of his allocated funds to support such an organization. “While there is a great deal of room in the Republican Party for debate and discussion on the issues of the day, there is no room for the forces of intolerance and discrimination. Period. “I admire and respect Sussex County Councilman George Cole for sponsoring the Lower Sussex NAACP County Youth Council measure, and he deserves credit for his efforts. “As someone who has participated in numerous NAACP events over the years, I strongly believe that Delaware needs an open, honest discussion about race. The educational achievement gap between white students and students of color, the high unemployment rate for Delaware’s minority communities, and Wilmington’s extreme violence are the true cry for a broad, serious discussion on race in Delaware and the need for bi-partisan, commonsense solutions. In the past Mr. Wilson has made comments about gays and other groups that have not been well received, so this latest controversy is no real surprise for anyone who knows Sam Wilson, he is known for speaking his mind, and his views are often out of touch with the current norm of the modern-day. 21 Comments on "Sam Wilson, No Stranger To Controversy"
Discussion? Don’t count on it, the Democrat Party will never allow it. As long as the Democrats can garner 90%+ minority votes discussion is not a priority. The GOP response in previous years might have meant something but today it matters little. If the GOP was serious about this issue the GOP would have had a serious candidate for Mayor Of Wilmington. Mike: This is NOT a partisan issue. This is an issue of right and wrong and tolerance vs intolerance. While the ignorant comments of Sam Wilson and Vance Phillips should not reflect the views of their party, they are an embarrassment to the residents of Sussex County. How can candidates of any political party expect people who are disrespected because of their ethnicity, religion, race or gender identtity vote for them if that party’s face is ignorance? I applaud Republican State Party Chairman Copeland for his statement, but am chagrined by the decent Sussex County Republican elected officials who have said nothing publically. I spoke to some of them in Dover yesterday. Their private statements were fine-but that is not enough. I have no problem with those whose philosphies are different than mine. Mike Protack and I disagree on much. But differences can be respected if people are civil. Sam Wilson and Vance Phillips lack civility. They lack a filter on their mouths and the members of their own party need to speak up. Just try forming the National Association for the Advancement of White People. Or, try to refer to black Americans as “colored people” in a public forum. The double-standard itself is reverse-racism. We have La Raza, the NAACP, CAIR and even armed Black Panthers intimidating voters in Philadelphia. So, why are wimps like Copeland afraid to defend their own race? The NAACP, whose mission is to “advance” America’s “colored people,” obviously is a racist organization since they openly discriminate against the non-colored, i.e. white Americans. At least Wilson has the guts to make a stand- unlike Frank and Copeland. Sam Wilson is also a birther and doesn’t “believe” in evolution, among other things. Yeah, he is an old white guy who wishes for yesteryear, holding desperately to the past. So yeah, he is an embarrassment, but he fits in quite nicely for parts of Sussex County. You have to look on the bright side though, governing is a serious job for serious people, but let’s face it, we will always need (and have) a clown or two. Fortunately Sam’s ability to effect the lives of others is very limited and he doesn’t really embarrass me personally. The really sad thing is, Sam himself is not embarrassed and is truly ignorant of what he is. As they say, ignorance is bliss and Sam is very, very blissful indeed. Well, let me spell it out for you, if you haven’t figured both of them out yet. Sam Wilson doesn’t care what he says, because he knows he is not running for re-election. He knows he is done. He barely got elected in the first place after being a also ran many, many times. Doesn’t matter to him what anyone thinks. So, he says what he wants, when he wants, where ever he wants. This is his last hoo-rah. Now Vance on the other hand has a alliance with Sam Wilson. Sam supports him on the civil case issue with Katelyn Dunlap. Vance’s desperate attempt to stay relevant with his bad PR image from the civil case and no support from the his party, wants to be in the news whether it’s good, bad or indifferent in his quest for re-election. NOT!!!!!!!!! Going to happen!!!!!! In his delusional mind, if he doesn’t get the GOP support, he thinks that he will take down the GOP with a negative fallout issue. Bitter, bitter, bitter man! Both of their attitudes are just how much stink can we stir up to reflect badly on the SCGOP in election year. Both of them knew what was on the agenda for the council meeting, both conspired to make a stir about the issue. It was planned between the two, its obvious. Both are leaving the County Council in the near future, so they figured let’s go out with a BANG! They said what was on their minds, knowing it was going to get attention and create a media stir. Didn’t have a thing to do with principles, because neither one has any. Bottom line, Sam Wilson was elected. “Just try forming the National Association for the Advancement of White People”, AH! Rick, this is the shelter of the closet racist. The “oh yeah, but what are you” argument. If you ask someone in the know to explain the difference between the term “people of color”, and “colored people”, they will tell you that the term “colored people” negatively emphasizes the color of the person, while the term “people of color” more humanely emphasizes the person. I guess, in the end, the NAACP will be obligated to change it’s name, and Sam Wilson will be vindicated. Why is it constitutional to openly advocate for the advancement of “colored people,” but not white people? Instead of lame retorts, get your head out of the sand and try answering the question. Former Dover mayor Carleton Carey’s decisions to select the city’s new chief of police and deputy were influenced by the NAACP, according to claims in one of the grievances filed by five high-ranking city police officers. The grievance, filed by Capt. Robert Scott, is among those claiming Carey violated employment and affirmative action policies and abused his authority by influencing the appointment of a deputy police chief. The grievances, filed in early April, led to a $300,000 settlement between the city and the officers. 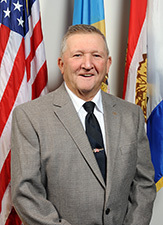 Carey resigned as mayor in late April after council members pressured him to do so. During the meeting, Carey placed a call to the department, requesting the “African American Demographic by Rank” for the department. He later called Scott asking him to verify the data, the grievance said. The discrimination will cost Dover taxpayers $300k. straight shooter Sam Wilson never said he’s not going to seek another term. Bottom line he did win the last time this isn’t horseshoes. You’ve on the other hand never won any election and won’t get past the primary this time. I wouldn’t be preaching about staying politically correct considering your huge SNAFUBAR about your walk through Wilmington at night. The difference between you and Sam Wilson he makes no excuses for what he says. Gotta love someone who poss s**t about someone while they hide behind an alias yet they smooze the same person in public. Remington Steele wrote that Sam Wilson “barely got elected in the first place after being a also ran many, many times.” Wilson squeaked by in the 2008 primary, but won by very comfortable margins since. In 2004, Republicans nominated Reed and she was the only candidate so there was no primary election. In 2000, the Republicans had no candidate at all for District 2. Rick, there is already an organization dedicated to whites only, it’s called the KKK. I do believe they have often exercised their freedom of speech and freedom to demonstrate. You seem to be the one with lame rhetoric about whites can’t have white only organizations. LOL, You gotta love a clown that thinks they know something or someone and yes does hide behind a clown phrase, but doesn’t know nothing. You are a barrel of laughs, LOL. You obviously are so emerged into your own delusional thought process, you have no idea what your talking about. Your a clown and a joker, your name fits. I am honored that you think I am someone, I am not, but that’s OK with me. Keep dreaming! You fit your catching delusional blogger name phrase to a letter. LOL, You must have a problem staying on topic, which the topic is about Sam Wilson not a Med student! Serious sign of a dysfunctional and delusional mind set, you must get help for your condition. Rick, there is already an organization dedicated to whites only, it’s called the KKK. Frank, that’s an excellent analogy. The NAACP and the KKK do have a lot in common- both reject the premise of a colorblind society and both advocate racial preference. Good point. While the KKK is known for lynching, the NAACP is not. That’s a big diff’, don’t ya think ? When is the last time the KKK “lynched” someone? In the last twenty years, who do you think have murdered more people- the Black Panthers, or the KKK? Of course, as usual, you totally missed the point. Like the KKK, the NAACP exists to advance a discriminatory agenda- the cause of “colored people”…hence, the organization is inherently racist. Anyway, back to Sam, who given the margin of his victories must reflect the attitudes of his constituents. And what district does he represent? Yep, that’s probably all we need to know. First of all, the NAACP is not the Black Panthers, and second, neither organization has murdered anybody in the last twenty years. If you want to know (but you really don’t) how many the KKK’s murdered in the last twenty years, you can google it. Get back to us with what you find. “The only race that kills with demonic glee, deriving enjoyment from suffering. Notice that the whole group stood by laughing. p.s. Over 70 % of the Live Leak video commenters favored apartheid rule for South Africa !